The Yamaha EMX5016CF is a stereo 500w + 500w, 16 input mixer/amplifier with in built digital SPX effect programs. 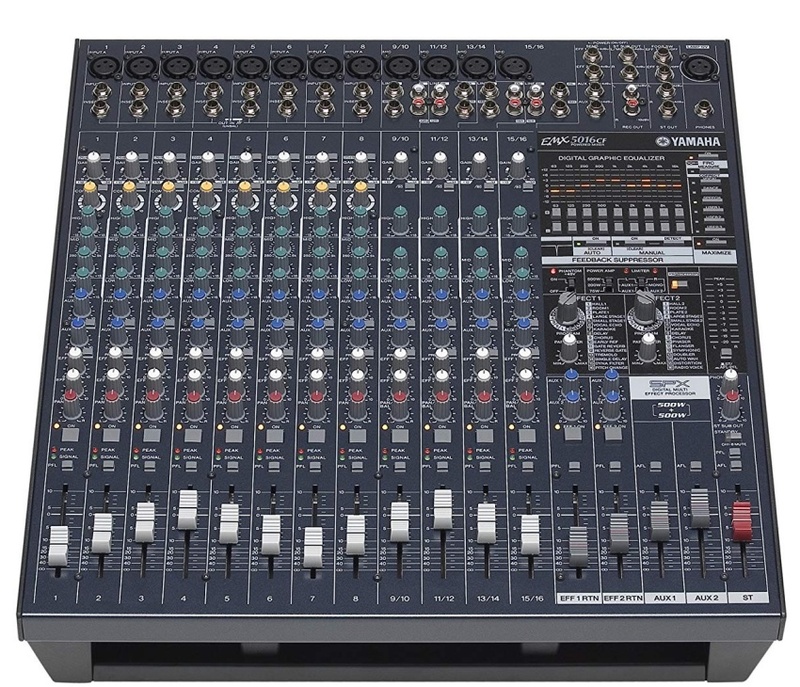 Live sound gear can be intimidating, but Yamaha’s new EMX5016CF Powered Mixer takes the confusion out of setting up a professional-sounding live music experience. This 16-channel stereo powered mixer, which includes two 500-watt amplifiers, is ideal for bands, churches and small rental applications. The EMX5016CF delivers the convenience of an integrated powered mixer with input capacity, flexible features, and solid sound that critical live sound applications demand. It is remarkably compact and portable for a live sound system with this much capability, but offers performance and reliability that will satisfy the discerning professional user either on the road or in installed applications. And thanks to leading Yamaha digital technology, the EMX5016CF also includes a number of innovations that make it easier than ever to achieve top-class sound in just about any venue. An impressive power output of 500 watts per channel means it can handle fairly large audiences, indoors or out. The EMX5016CF goes considerably beyond the standard definition of “powered mixer,” entering the realm of serious sound reinforcement. The EMX5016CF has a total of 16 input channels – eight for monaural microphone or line input plus four stereo pairs. The stereo channel pairs can function either as monaural microphone inputs or stereo line inputs. This system gives you extra microphone inputs if your sources are mostly microphones, or if you need to handle more stereo sources the EMX5016CF will comfortably handle four pairs in addition to eight monaural microphone or line inputs. Switchable phantom power is provided for all microphone inputs. All you need to create a powerful, high-performance live sound system is the EMX5016CF, a pair of speakers or two, and your sources. But it does feature a range of inputs and outputs that allow it to be expanded with external gear or integrated into larger systems. Insert patch points on the mono input channels, for example, let you add outboard signal processing to individual input channels. And although you have all the monitor power and effects you’re likely to need built in, external AUX and EFFECT sends allow you to route the mixer’s signals to external signal processing and/or monitor systems as required. Stereo out, stereo sub-out, and record outputs are also provided. The EMX5016CF features compressors on all monaural microphone/line channels that can help to make vocals ride the mix better, give you that smooth compressed guitar sound, deliver more punchy bass, and generally refine your mixes in a multitude of ways. These unique one-knob compressors are surprisingly simple to use. There are no multiple attack, threshold, makeup gain, and other controls – just set the COMP control to the amount of compression you need. This advanced digital 9-band stereo graphic equalizer goes way beyond conventional analog types with a refined control interface, instant-recall presets, and user memory locations. It also works with the console’s innovative Frequency Response Correction system (see below) for unprecedented response-shaping control. Of course you can manually adjust each band as required from scratch, but you can also use one of the presets – VOCAL, DANCE, or SPEECH – as a starting point and edit from there. You also have three user memories into which you can store your own EQ curves for instant recall whenever needed. Setting a live sound system’s output equalizer to optimally match room response is normally a complicated process requiring noise generators, calibrated microphones, real-time analyzers, and a great deal of time and experience. The EMX5016CF handles the entire process automatically, using either pink noise or a recorded music source you supply. To precisely match the system’s response to the room you’re in all you need to do is set up a microphone in an appropriate location, connect it to channel 1, press MEASURE/CORRECT once to make the measurement, and then again to automatically set the graphic equalizer for optimized response. The EQ setting can then be stored in one of the user memories for later recall if needed. The EMX5016CF “Maximizer” is an advanced 3-band compressor that can be applied to the stereo bus for a more punchy “up-front” overall sound. Simply press the MAXIMIZE switch to instantly give the mix more presence and impact without sacrificing musical subtlety. The EMX5016CF includes not one but two top-performance Yamaha SPX digital effect processors built in! You might only need ambience effects such as reverb and delay for live sound applications – and the EMX5016CF includes some of the finest reverb and delay effects available – but if you need other effects as well they’re right at your fingertips, and you can use two different effects simultaneously. Each effect processor offers a selection of 16 top-quality effects including reverb, echo, chorus, flanger, phaser, and even distortion, with editable parameters that allow you to customize each effect. 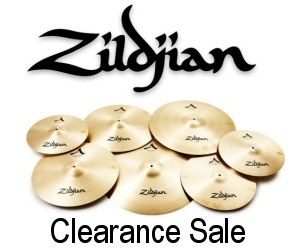 Gain controls and 26-dB pad switches allow optimum level matching with just about any source. 80-Hz high pass filters for elimination of unwanted low frequency noise and rumble. Channel ON switches let you switch individual channels into or out of the mix. Pan control adjusts the position of mono channel signals in the stereo sound field, while balance controls on stereo channels control the balance of the stereo image. High-quality linear faders individually adjust the level of each channel. PFL (pre-fader listen) switches allow isolated monitoring of individual channels. All input channels feature signal and peak indicators for visual signal monitoring. Linear AUX 1, AUX 2, EFF1 RTN and EFF2 RTN faders with PFL (pre-fader listen) switches on the effect returns and AFL (after-fader listen) monitor switches on the auxiliary returns. Stereo master fader with both PFL and AFL monitor switches. Yamaha Speaker Processing delivers enhanced lows and high-end smoothness with Yamaha Club-series speakers. Limiter indicators tell you when the internal limiter circuitry has been activated due to power amplifier overload. Power Amp mode selector allows two-channel power amplifier to be quickly configured for Main + Main, Mono + Aux 1, or Aux 1 + Aux 2 operation. Power amplifier output selector allows selection of 500, 200, or 75 watt output per channel. Stand-by switch instantly mutes all mono inputs. Precise 12-segment stereo level meter. Phones jack with independent level control. High-quality SPEAKON speaker connectors for fast, reliable connection. Rack mountable with the optional RK5014 rack-mount kit. Console lamp connector accepts standard 3-pin XLR-connector gooseneck lamp (optional, 12 volts DC, 5 watts max).